I have been in the insurance field for over 23 years. During that time I worked with mainly high risk auto insurance. After getting way too comfortable at doing the same thing for so many years, I decided that I needed a change. I wanted to broaden my client base and offer a little bit of everything. I found that at my previous job I was having to turn clients away because I did not offer multiple lines of insurance. This was very frustrating. I hope by offering a variety of services, I won't have to turn anyone away. I offer a variety of selections for your auto insurance needs. If you have some violations that are causing you problems, I can help you out. If your driving record is perfect, I can help you, too. If you need help figuring out exactly what you need, come in and let me see what I can do. I have Progressive and many other companies to work with. I can get you covered! Are you traveling to Mexico for business or pleasure? For a short visit or extended stay? I have the coverage for you. I offer annual or daily policies. MexiPass is the leader in placement of insurance in Mexico. Come in and talk to me about your trip and let's see what I can do to help you stay covered. Or use the link at the bottom of the page to get a policy on your own! Excellent Customer Service, Nikki has always been my favorite for many years. She's the very best and very friendly . She honestly cares about her Customers. I appreciate all her help and recommend Varner Insurance to all. Nikki is "Awesome"!! She is very professional, patient, caring and understanding of what you need. Always looking for ways to help you save money and yet get you the BEST deal she can. She has been my agent for several years and I would highly recommend her to anyone. If you have a question and have to leave a message, she is very quick to respond. Thank you for all you do Nikki; I appreciate all your help!! 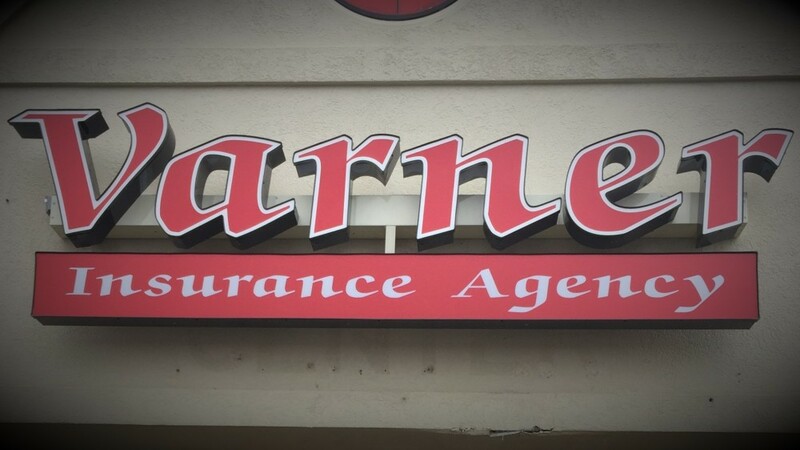 I have to say Im so impressed with Nikki @ Varner Insurance she has saved me money and dealt with issues I have even after hours while she attending to her own child at the same time. She truly goes above and beyond for her clients! I would not change even if I could save money elsewhere. Thanks Nikki for all you do!!! Nikki is amazing if you didn't already know! But by switching to Varner, she was able to save me OVER 50% on my monthly insurance rate! Great customer service also, kid friendly environment and coffee to boot! I send everyone to nikki, always confident that they will leave happy with money $$$ to spear! I love coming in to see Nikki for my insurance needs. She is always kind and has a positive attitude about things. The woman really knows her stuff too, which is a relief for someone like me. She always has my best interest in mind. Weather it's car insurance or home insurance, she makes sure to tell me all the information I need to make the best choice and has no problem walking me threw all the terms. I love Varner Insurance!!!! Nikki has been my agent for a very long time actually 10+ years, she has always had that personal touch that you never get from the big insurance co. She always stays updated on my needs and always continuing to look for better ways to serve my needs and very knowledgeable. Shes the best and highly recommend her to anyone. Best customer service I've experienced in a while! Thank you, Nikki! I switched to Varner insurance 6 months ago and it was the best decision I could've made in auto insurance. Not only has she been able to save me money each month, her customer service is top notch. If you are in the market for great rates and customer care, give Nikki a try!